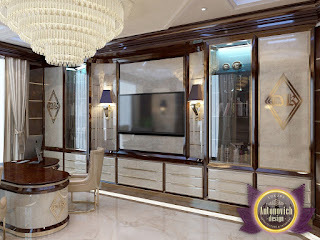 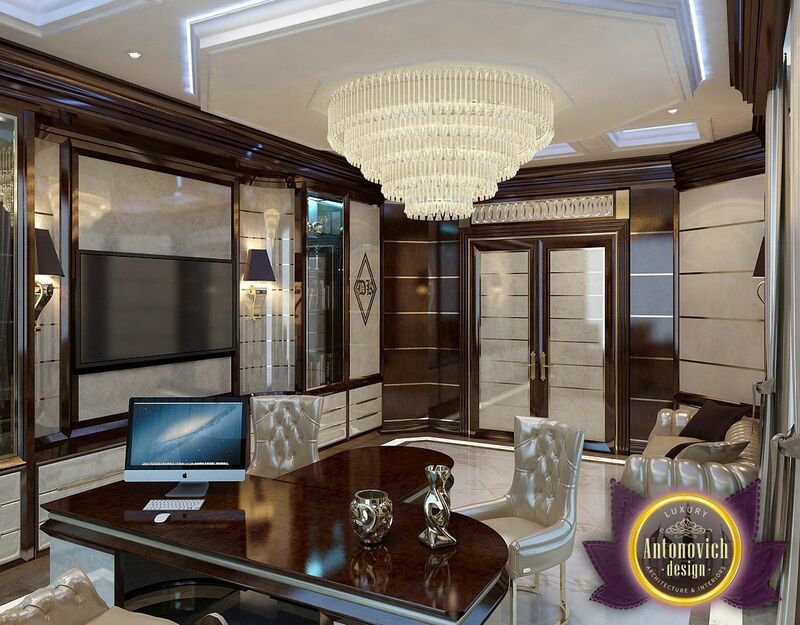 Office Interior design by Luxury Antonovich Design has become one of the most important sources of inspiration and efficient operation. 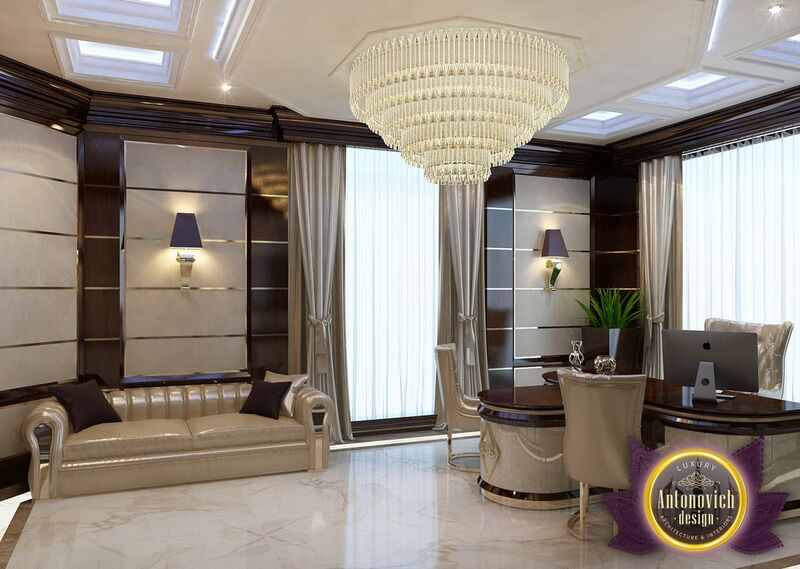 Interior designers combine absolute comfort, impeccable functionality, individuality and respectability. Office interior design reflects the success of its owner and is a source of new brilliant ideas. The main in organizing the office space is furniture. From the style of the interior depends the choice of furniture, lighting and decor materials. 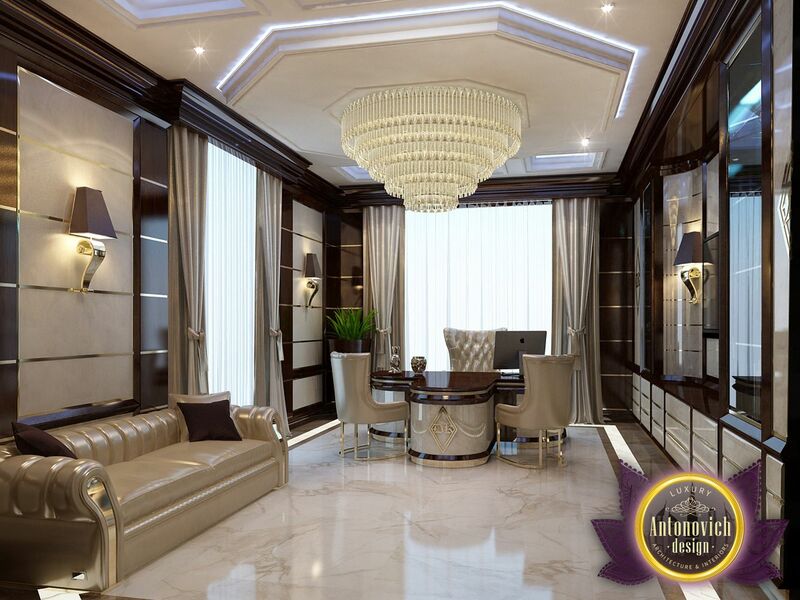 The interior does not distract and configures a working mood and performance.